99% of corporate video is incredibly boring. Get in touch with us to talk about making it fun. 10 years after the advent of proper online video, the internet is FULL of average content. Making up a large piece of this is VERY average corporate content, the sort of stuff to put you to sleep at night. Here at Hightower we strive to do things differently. We frequently work with organisations who have a clear message to send internally or to their customers, but don’t know how to engage their target in an interesting way. Even with the most staid and serious organisation there needs to be engagement, that’s why we frequently use graphics to liven up talking head interviews. This really changes the paradigm, engaging people in the message. In addition to this, brevity is also key, keep it to one message per video and make half a dozen bite sized vignettes rather than a 10 minute snoozeathon. Get in touch to talk about more ideas to lift your corporate message above the boring norm. Corporate video has been around since the 1970s, it was much less prevalent then of course, not just due to the fact it was so new and untested, but because back then the technology was incredibly expensive. It was the realm of super rich corporations who wanted to show off – corporate videos then featured big name TV stars and had TV production costs. Five figure budgets weren’t unusual. After this came the advent of the videotape, which revolutionised so much in the creative industries. For corporate, it meant that smaller agencies and companies could get a piece of the pie. Digital Effects Recorders also became affordable and allowed companies to include rudimentary graphic effects (which of course look hilarious now). As technology progressed through the 90s, the reach of corporate video became wider, standards like DV allowing higher (not HD!) definition video to be recorded digitally. Graphics slowly improved and prices continued to drop, thanks to technological advances and competition. The 2000s saw an explosion of corporate video across the world. Techniques progressed at an exponential rate thanks to advances like High Definition video capture. The internet and streaming video in particular, completely changed people’s perception of corporate video. 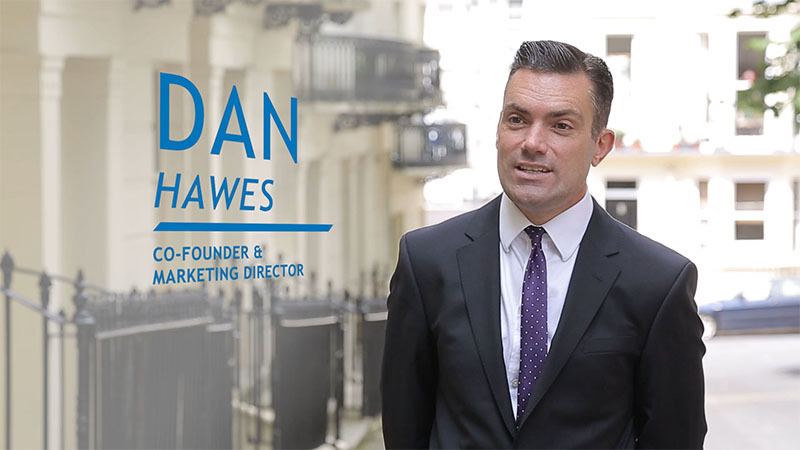 He future for corporate video is extremely bright, every organisation with a marketing budget should think very carefully about the amount and quality of corporate video in their marketing mix. It’s very effective! Corporate video has many different flavours – from the standard talking heads production, through promos, explainers, “how to”, e-learning, training and various others. Depending on the complexity and amount of videos concerned, a reasonable rule of thumb is to say £1000 per minute of completed video. This includes concept, scripting, production, editing, graphics, editorial changes and delivery. Can’t I just shoot a corporate video on my iPhone? Corporate videos are generally viewed online nowadays, where people’s attention spans are pretty short, especially if the subject matter isn’t totally compelling. We recommend corporate videos that are as lean as possible – no more than 3 minutes if they are being viewed online. There are exceptions to this rule of course, training videos being a big one. We work with a conference company a lot and the videos we produce with them tend to be 5-6 minutes. Depending on complexity and the amount of content to be shot, corporate video shoots can go from one day through to weeks (potentially!) The longest shoot we have ever done was for a client for which we produced 300 videos, so you can imagine it took a while!